Jewish faith leaders have urged the schools inspectorate to show more “respect” for faith schools. Members of the Orthodox Jewish community raised concerns after inspectors placed a girls’ school that censored teaching materials into special measures. But chief inspector of schools Amanda Spielman denied that Ofsted has a “secular agenda”. Yesodey Hatorah Senior Girls’ School in north London redacted passages from textbooks; censored images that showed men and women together, paintings by Picasso and bare skin on ankles, wrists and necks; and refused to teach pupils about animal or human reproduction. An Ofsted report published last month said school leaders judged the Charedi school’s effectiveness only “in terms of the school’s own values, reflecting the expectations of their immediate community” and they were not taking into account statutory obligations. The school was rated “inadequate” by the inspectorate, having previously been judged “good” in September 2014 and “outstanding” in September 2006. But leaders insist the school’s approach to teaching has not changed in that time and that Ofsted were always aware of the censorship. Theo Bibelman, chair of governors at Yesodey Hatorah, said several Orthodox Jewish schools have been downgraded by the inspectorate in the past few years. The Talmud Torah Machzikei Hadass School, an independent Charedi school for boys in north London, was rated “good” in November 2014 but downgraded to “inadequate” after an inspection this February. The report said that pupils were taught well about their own religion and how to read Hebrew, but the secular curriculum did not “prepare them adequately for their future lives”. In November last year, Vishnitz Girls’ School, an independent Charedi school in Hackney, was judged “inadequate” after inspectors warned that too many pupils were attending the school and there was no real teaching of other faiths or different ways of living in modern Britain, even though outcomes for pupils and quality of teaching and learning were both deemed to be “good”. At its previous inspection in July 2013, the school was rated “good” overall. Bibelman insisted Jewish schools are simply respecting the wishes of parents who do not want their daughters asked “if she has a boyfriend or about transgender issues”. “Ofsted seems to be enforcing a one-size-fits-all secularist approach, which displays a lack of respect for our faith,” he said. He added that Ofsted needed to work to “rebuild trust” with the community. But in a speech to the Policy Exchange think tank in London this week, Spielman was defiant, describing the “increasing hostility” that Ofsted are facing from “conservative religious groups”. Spielman, who is 18 months into her tenure, insisted the inspectorate is not biased against faith schools, but warned of an “expanding sense of religious and/or cultural entitlement” that meant the preferences of certain groups are affecting what schools teach and what they are allowed to wear. The chief inspector also urged opponents of the government’s agenda to lobby MPs, and “not blame Ofsted for carrying out its duty”. When the report into Yesodey Hatorah was published last month, Bibelman said faith schools would not be able to meet inspection criteria “unless we agree with the secularist agenda of Ofsted London”. Spielman addressed the criticism directly, saying that she wanted to be “absolutely unequivocal” that Ofsted “has no anti-faith bias or secular agenda”. She called on the schools community to demonstrate “muscular liberalism”, and warned that the “openness and tolerance” of British society must not be used to “accept models of education in this country that close minds and narrow opportunity”. While schools do not have to promote ways of life with which they do not agree, she said, they must teach that they exist and are protected by law. Last month, thousands of members of the Charedi community gathered in north London to pray for protection for their schools from the judgements of Ofsted. A spokesperson for the Board of Deputies of British Jews, the main representative body of British Jews, said that while there did not appear to be an “anti-faith approach across the board” at Ofsted, it acknowledged an “increasing confrontation with Charedi schools” which both sides need to resolve. “Some of the inspections of Charedi schools seem to have been of an aggressive character and there seems to have been a lessening of tolerance for a socially conservative ethos, which will inevitably lead to a clash,” he said. David Collins, director of Jewish living at the United Synagogue, which represents mainstream Orthodox Jews, said a “relationship built on trust” between Ofsted and Jewish schools is needed. However, Rabbi Dr Jonathan Romain, president of the Accord Coalition which campaigns for an end to religious discrimination in state schools, said Ofsted were right to no longer be “turning a blind eye” and instead “closing gaps and loopholes which should never have been allowed”. “Charedi and similar schools of other faiths will object, but in the end they will have to compromise on various levels, but still be able to maintain their core identity and ethos. 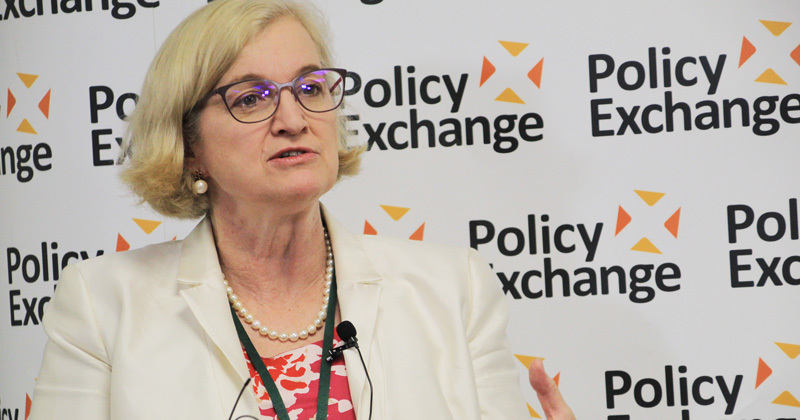 In her Policy Exchange speech, Spielman observed that most faith schools enjoy a good working relationship with Ofsted and perform well, which demonstrates that it is possible for schools to follow a religious ethos “while respecting the requirements of equalities law”. A spokesperson for Ofsted said the inspectorate will run information sessions for leaders of independent Jewish schools later this month to provide guidance on how to meet standards on fundamental British values and protected characteristics, and added that faith schools “are entirely at liberty to teach the tenets of their faith on social issues. “However, they must also comply with the law and ensure that pupils are properly prepared for life in modern Britain. The vast majority of faith schools see no tension in doing this.